Well, I have finally decided to go ahead and make a blog! 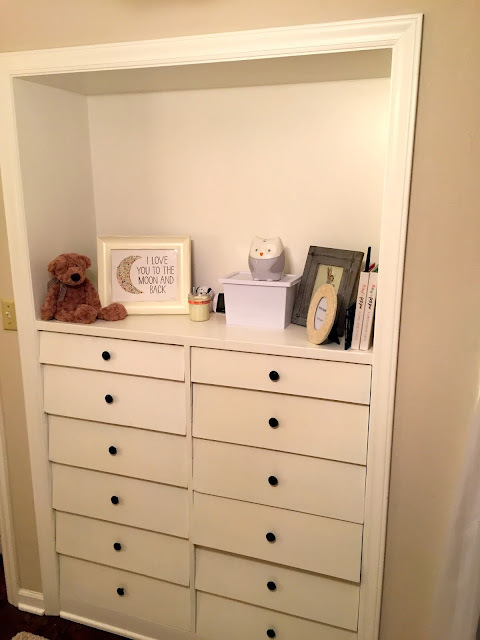 My entire pregnancy I have been searching Twin Blogs and have LOVED reading the stories and real life experiences of ladies all over who have been blessed to have twins. 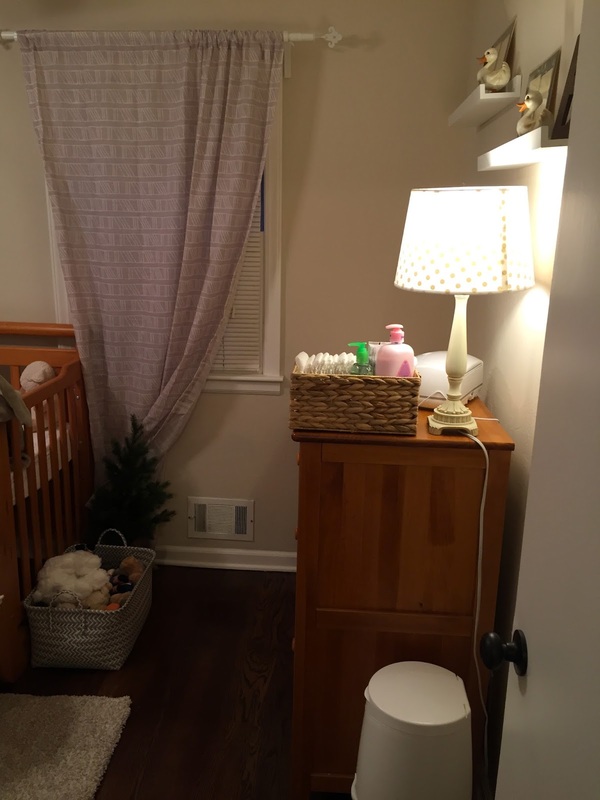 I just began my maternity leave early and in the first day realized I needed something to pass some time with, hence the start of the blog! Last day of work! I was still managing a Medium scrub top and large bottoms, moving slow but still there and still working! Glad I am able to take time off before these two are born to relax. I am 34 weeks exactly today and am feeling rather large. I'm very limited in my movements and have to take sitting breaks hourly if I am up moving around, so work became nearly impossible. I was so thankful to have worked full time (5 days a week, 8 hour days) until now. I know some ladies that have had to go on bedrest or restrictions especially with twin pregnancies. I'm so grateful I have not had to. At my last appointment, my doctor said I was very thin and cervix was soft- no dilation yet but could happen any time now! She also said she would not stop any labor after today so the realization that they could be here any day is starting to settle in! 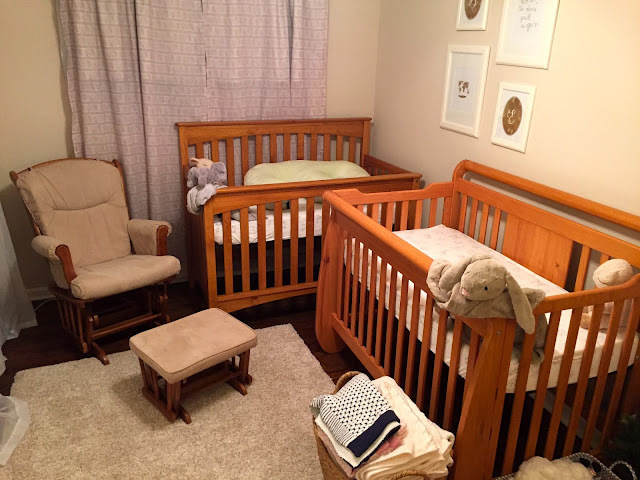 Our nursery is ready, car seats in the car and "go" bags packed! Below are pictures of the nursery. These built in shelves are a HUGE help for the limited space we have. One side for Emmy and one side for Bennett. 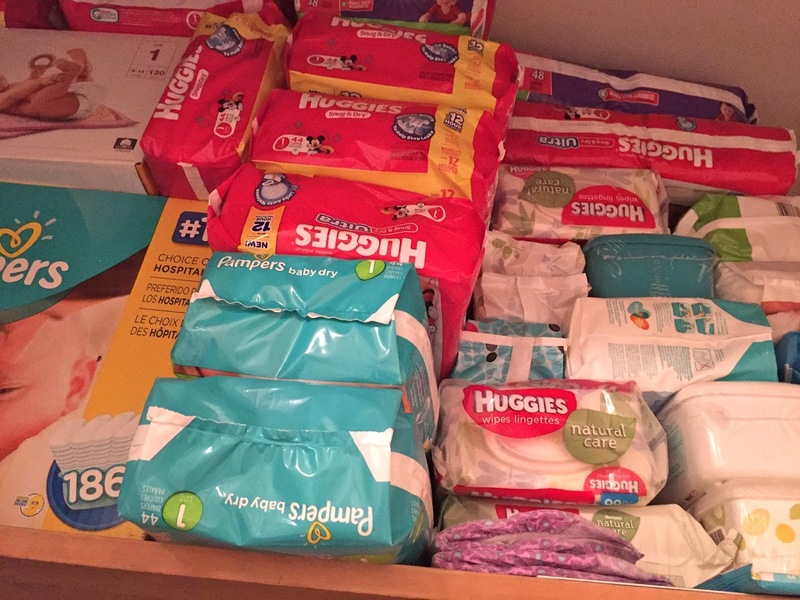 Alex's football team all came together and bought diapers of various sizes and wipes for us- it's safe to say I think we are prepared for awhile. The community at St. James has been incredible and supportive and we feel so loved. 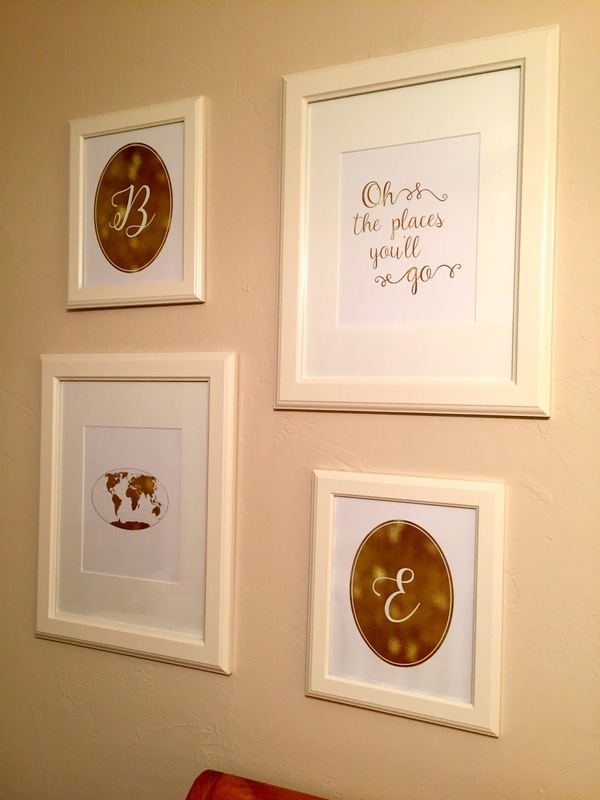 I love your idea to blog lauren! I will be reading to stay updated with your life! Love you both and miss you! I have a feeling that this is going to be very entertaining! I look forward to reading this and good luck to you in the next couple of weeks! Love it! 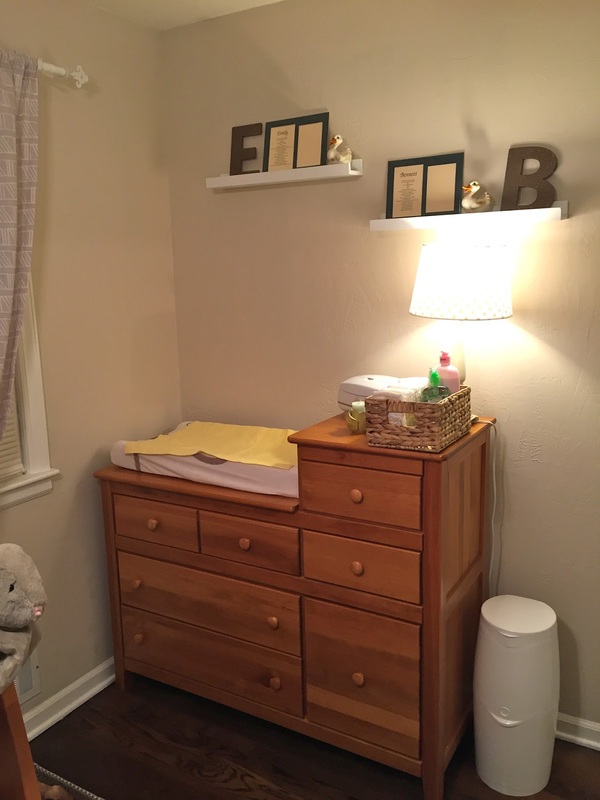 You look great and the nursery is darling. You will never run out of stories to write about with twins. Congrats on the blog! We're thinking about you and praying for easy delivery and healthy babies and mamma!